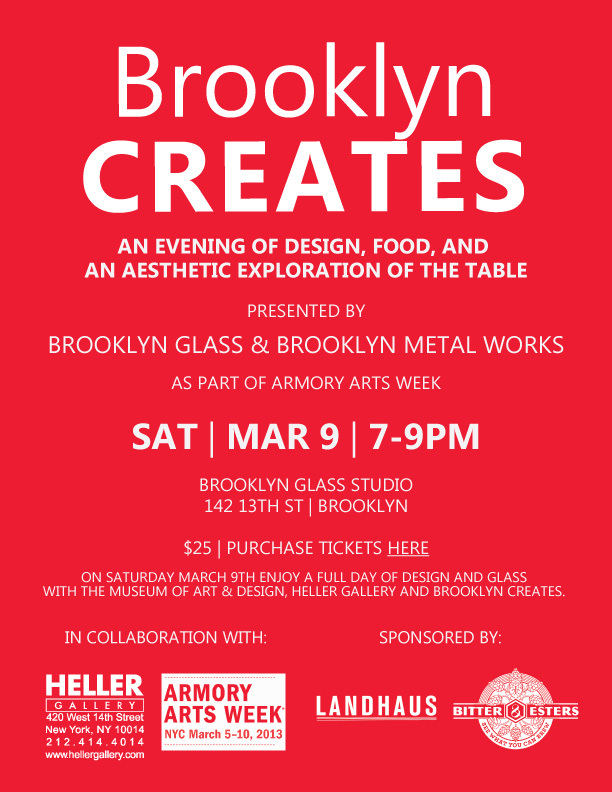 Please join us for Brooklyn Creates, a unique event designed by Brooklyn Glass and Brooklyn Metal Works in collaboration with Amory Arts Week and Heller Gallery. Enjoy and evening of design, food, and an aesthetic exploration of the table. 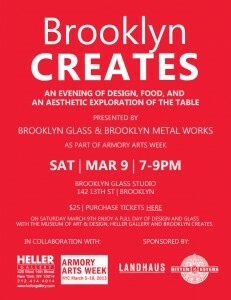 Saturday March 9th from 7-9pm at Brooklyn Glass studio. Tickets can be purchased here.